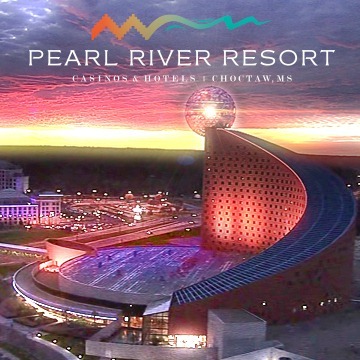 It's almost time for the Spring Break Poker Classic at Pearl River Resort (in Choctaw, MS). March 15th the event kicks off with a Thursday 6pm flight in the 100k re-entry event (preceded by a 3 seats added (ADDED!) satellite at noon). There are three more $350 buy-in flights over the first weekend. Friday 6pm, then Saturday 11 am and 5 pm. If you already bagged, then jump in the Saturday 8pm Mini Main mega that has 3 seats added. Not guaranteed ADDED. Sunday morning same thing. Sunday at 2pm the Mini Main kicks off for a $350 buy-in. The week includes Deepstacks, Super Satellites, Bounty tournament, Seniors events, Megas and then the $800 Main Event (also 100k guaranteed). 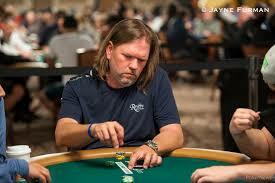 Ben Thomas (pictured) of Baton Rouge is at the Rio in Las Vegas for the WSOP-C event and cashed in two tournaments. He finished higher in the 365 PLO event with a second place showing for 8k. He made more with his fifth place finish in the 250K guarantee No Limit Hold'em event where he pocketed over 15k. Kristen Deardorff formerly of Gulfport also cashed twice this series so far in Event 1 and 2. Henry Born of Glencoe, AL, James Duke and Jim Mink of Houston, TX, cashed the 250k too. Steve Bierman added to his circuit point total with a 17th place finish in Event 8. It's Bierman's 11th cash of the season. It's also it's his sixth stop that he's cashed at. Considering he's cashed twice at every other stop expect another lick soon. The top 50 points earnera along with a casino champion and WSOP-C Main Event winner at every stop qualifies for the Global Poker Championship at the end of the season. Several Gulf Coasters are in the fray. Bierman currently sits in the 22nd spot of WSOP-C points leaders with 150. Robert Hankins of TN is comfortable in the 2 slot with 220 points. Chris Carey and Warren Sheaves of North Carolina are in the top ten both with just under 173 points. Charles "Woody" Moore as he does every year has 180 points and will qualify. Another player from western Louisiana is making a habit of this too: Jason Gooch is in 18th with 160 points. Steve Nusrallah of Georgia has 157.5 points in 20th. Tim "TK" Miles has 135 points and is 29th. Jonahtan Hilton 135 points in 31st. Kevin Eyster has 125 points in 38th. John Holley is in 44th with 120 points. Russ Head has 117.5 points in 49th. Nobody is closer to the cut than Danny Doucet with 115 points in the very last slot. Those one the outside currently looking in include Chris Conrad and Corey Waaland who are within ten points of Doucet. Maurice Hawkins and William Stanford are around 20 points out. Just outside the top 100 is Dustin Stewart, Loni Harwood, Bob Beck, Ben Keeline, Jeter Brock, and Austin Reilly. Get those points! Non Spoiler Highlights: Isildur's face at 2:52, for an online player he's deep into a read of his opponent, and the little move made right before the action is completed. Lowlight: Why isn't there a split shot for the entire hand. Okay, now you don't have to read the article. It's definitely political and slanted about Robert Mueller but that's a great line no matter your politics. We had a couple of people direct us to this article on PokerNews. The title "Couples That Play Poker Together, Stay Together." It's a nice piece, and let's just call it an optimistic view timed with a happy holiday. Not trying to spread negativity, but with that said, everybody that steered us to the article did so only to say that many of those couples profiled (definitely not ALL) included partners that were in previous relationships with other poker players. Kind of undermines the title itself when some of them (female and MALE) are accussed of "laddering up" their way through the poker ecosystem. Please note, not casting aspersions against anyone, two sides to every story (especially to every broken relationship for sure). In fact, we might not even have posted this if not to contrast it with the quote above and to point out that sometimes couples that play together defintely don't stay together... precisely because of the poker. And to further qualify this, we have some friends who are "poker couples" and are indeed proof of the headline. Sharing a hobby or a passion with a signaficant other is usually as good as it gets. Got strong opinions on this? Feel free to leave them here. Interesting story about Geekwire writer Nat Levy playing one on one with a poker bot at Carengie Mellon. Spoiler alert: he won. Double spoiler alert: tiny sample size. Washington Post profiles Doug Kim's journey from casual college player (Duke econ grad), to WSOP millionaire, to Wall Streeter and now to actor. Go here. Poker a game of skill? More evidence of the obvious? Go here. Go to Rounders Radio to listen. Dalla lived it from the inception and 20 years later reflects on the poker boom in all it's glory. In typical Dalla style he doesn't shy away from scratchy at it's underbelly. It's a multi-part look from his blog. Should be a great series. Introduction starts here and plenty of other parts already posted off his main page here. PokerNews profiled Little's thoughts on Suited Connectors deep in a big buy in tournament. Interesting little strategy quiz here. Wonder how many of ya'll would play it the same way? Go here. 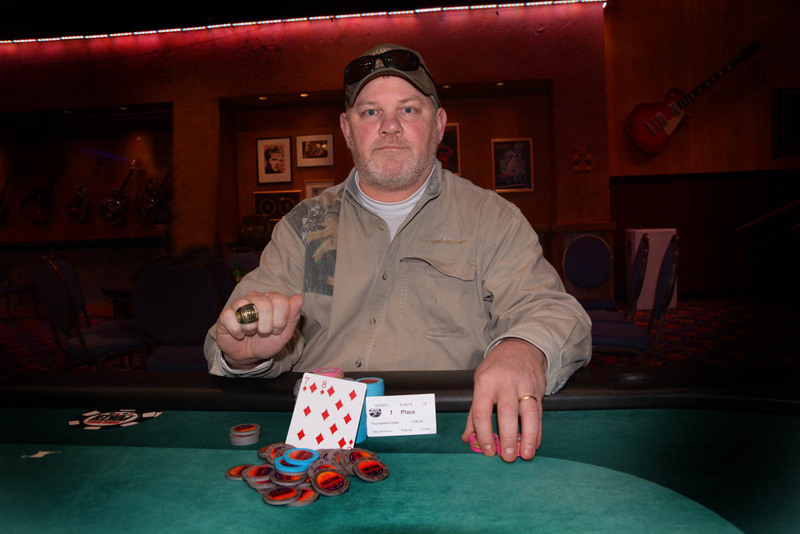 Our buddy David Lee of Memphis, TN earned his first WSOP-C ring in the last event at Tunica. He bested Warren Sheaves in heads up action to win 18k. Congrats David! Very happy for you. Sheaves made 11k for second. Hank Sitton, Bryan Devonshire, and Corey Bierrra also cashed. The Double Stack Turbo event seems custom made for Lee's style of play. We suspect there will be more rings to come. 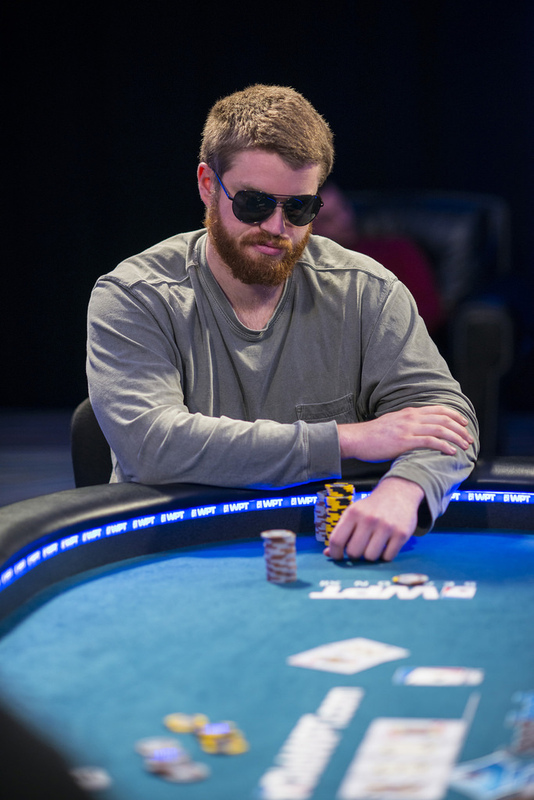 Arkansas' Sam Washburn prevailed over star studded final two tables. Washburn won 188k for first place. He bested the always lethal Scott Stewart in heads up play. Stewart won 116k for second. Hung Nguyen of Jackson, TN earned 85k for third. Kyle Cartwright couldn't win (another) Main Event ring finishing in 5th. He finished one spot above Jake Bazely. Cartwright earned just under 50k and Bazeley 36k. While this doesn't settle the debate (a private one held between a GCP reader and one of us owners) about which of these two players was a favorite in a WSOP-C Main it is a nudge in Cartwright's favor. Some other cashers we didn't mention last time: Cody Stanford, Warren Sheaves, Andrew Brinkley, Chris Davis, and Trent Bennett. This year in the Tunica WSOP Main Event first place will be North of $180k. There are only 7 runners left with 2 players that will clearly have an edge in Kyle Cartwright and Jake Bazeley. Both have been on this stage before and these two are favorites with the chip stacks that are left. Day 2 turned into a "Murders Row" of tough players with John Holley getting over $11k for 13th. Aaron Massey taking down right under $10k for 16th and local New Orleans Player Joe "Joe the Pro" Hebert heading back with close to 5 digits in winnings himself. Others in the money: Mary Roy the "last lady standing;" the always tough Jerry Monroe; and Danny Doucet made a nice run for 33rd. TK Miles, Schuyler Thornton and Mike Cordell cashed also. One of the good guys in poker Mike Cordell wins his 3rd ring in Tunica after his breakout winning a Bracelet several years ago. Cordell's re-entry score bookended his Tunica Trip with his Main Event cash. Ben "The Destroyer" Mintz makes a guest appearance after taking a hiatus from Poker to pursue sport radio. The Destroyer (a well known online beast for those that did not cut their teeth pre-Black Friday) teased on social media about a possible comeback...hope to see him more this year. Darryll Fish got over the hump at WPT Hard rock Event. 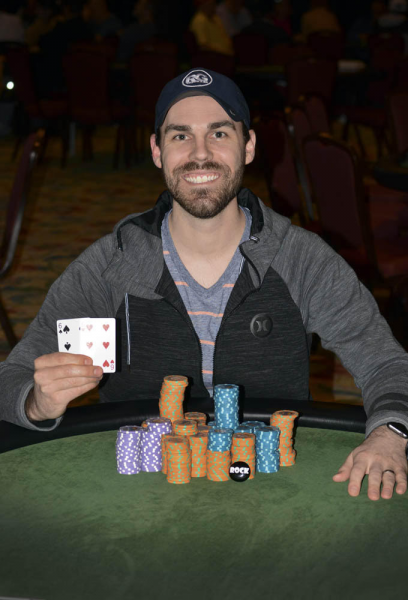 In March of 2017, the former Biloxi rounder finished second at the Seminole Hard Rocks Poker Showdown winning 453k. He also finished third in this same event in 2013 for 125k. This past November he finished third in the Rock 'n Roll Poker Open (again 3500 buy-in) and won 168k. That's a lot of "no cigars." 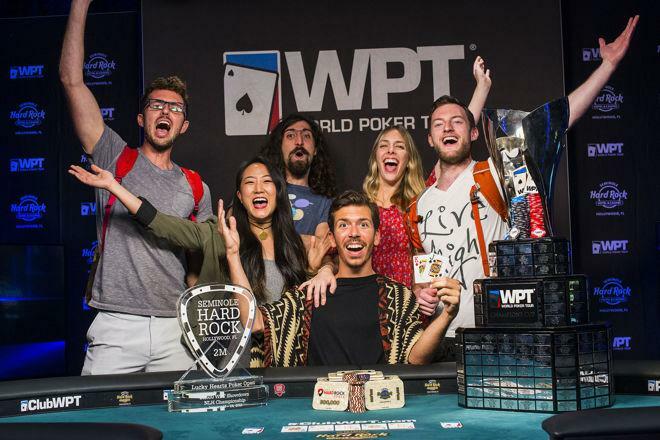 Three months after his most recent near miss there is nobody above him on the winner's podium as he finished first in the Lucky Hearts Poker Open winning 511k. Congrats to one of the good guys and a former regular on the Gulf Coast. 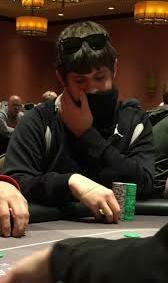 To remind you of where he came from, his Hendon mob results start with a Harrahs NOLA WSOP Circuit cash, an a IP cash, a Beau cash, an IP cash, and a Harrahs cash. They ranged from $469 to 10k. Since then the wins have gotten bigger, and farther afield. This is his biggest yet. It marked his his fifth win in a storied career. He's now won over 3.7 Million Dollars and within hailing distance of the top 100 winners all time in U.S. Poker History. This win didn't come easy. He beat incoming chipleader Alexander Shevelev heads up and had to contend with third place finisher Andy Frankenberger for most of the final table. Also a shout out to ninth place finisher, and another former Gulf Coaster, John Dolan who won just uder 50k. Timothy "TK" Miles is, as one player described him to us, an End Boss. He moved to Miami a while ago but never misses a Gulf Coast tournament. Although plenty of players wish he would as he lately seems to just to final table any big event here. Like the big bad guy waiting for you at the end of a video game level TK always seems to be there at the finish. He bested another local "End Boss" Michael Monaghan in heads up action to win 113k. Monaghan, if there was no chop, earned 65k for second. Miles's day two started out quickly as he added to his chip stack winning flips against Steve Bierman and GCP's Will Souther to chip up and never look back. Barth Melius, David Nicholoson and Nesrin Can were early 4k min-cash eliminations along with Erik Christensen, Mark Griffen and Derrick Cutler. Paul Hebert, Jeremy Eyer (also pictured) and Freddie Ardoin made it one pay jump higher at almost 7k. 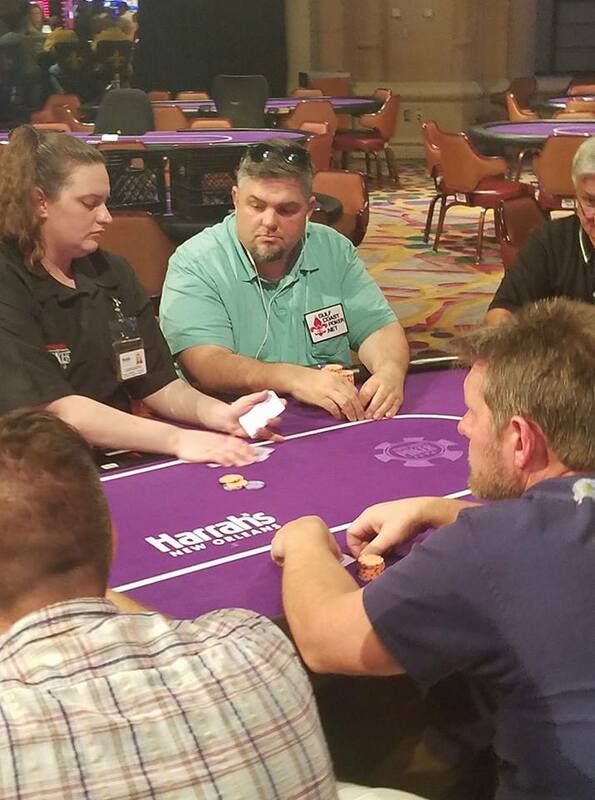 Chris "CD" Davis, Nghia Le, Fred Sigur, James Kizer, Heartland Poker Tour crusher Ed Sebesta, and Caufman Talley all won just under 9k and barely missed the final table. Thu Tran of Biloxi (9th, 10k), Quy Ho of Pensacola (8th, 11k), and Hiep Doan of NOLA (7th, 17k), were the first three off the final table. Randy Gordon of Metairie won 21k for 6th, Tim Burt of D'Iberville won 25k for fifth and Jason Trial of Duluth, GA won just under 30k for fourth. 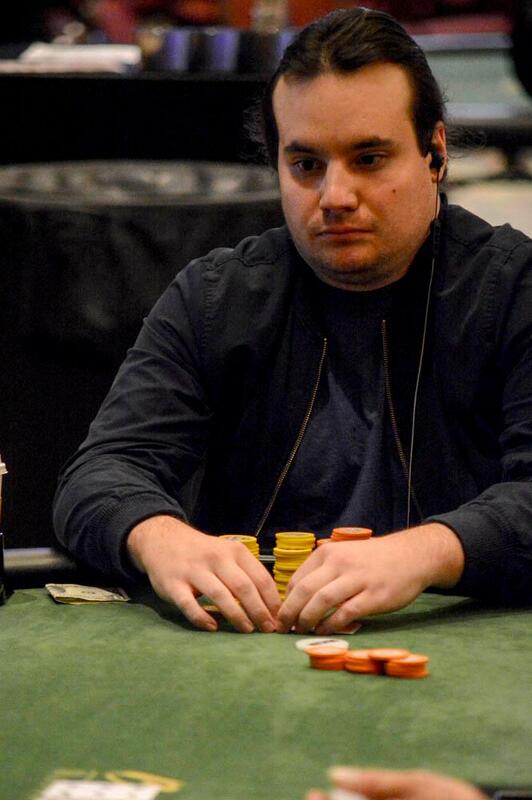 Mike Horchoff rode a day one chip lead to a third place finish and 37k boost to the bankroll. 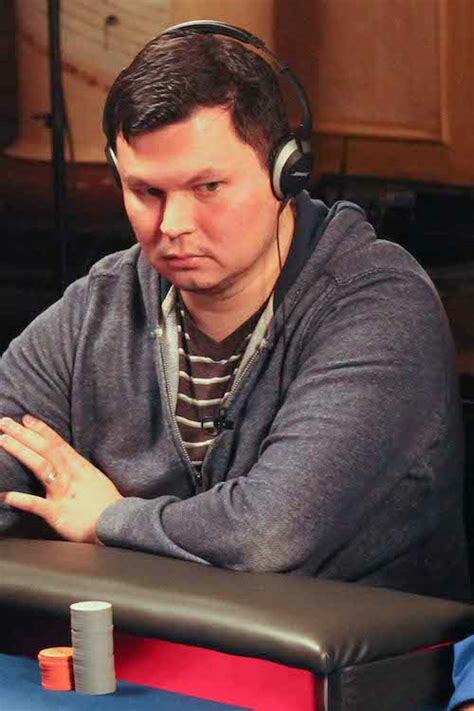 Robert Henderson a poker player and super fan, gobbles up poker content like its his job, is a long time supporter of this site, is a follower of all Gulf Coast players, but has recently battled some health issues. He's had three stays in the hospital in the last month after falling victim to a heart attack. An electrician, he said the paddles used to revive him, were by far the biggest electric jolt he's ever felt. He's also overcome pnuemonia (after another long stay in the hospital), and had to get stablized there again when his medicine threw him a curve ball. He's in high spirirts now, out of the hospital and feeling great. We've been thinking of him. If you are an accomplished poker player, we guarantee this guy's been following your success over the last few years and rooting you on from afar. Not only that he's one of our best resources to let us know when one of you is making a run in some far off place or some obscure tournament. So next time you see he wish him well and a continued recovery. We missed a couple events last go round and no way we can go without wishing a friend of GCP, Robbie Matthews (pictured) of Denham Springs, congratulations after he won the $500 6 Max tournament. He beat Elena Stover of Maryland heads up for the win. Michael Monaghan of Jackson added to his impressive series with a final table appearence and a third place finish. Ken Allison of Maylene, AL, David Nicholson of Perkinson, MS, and Gavin Munroe of Oceans Springs, MS also made the final table. Two more Alabamians Jacob Corda and jonathan Purcell also made the money. More results from friends of GCP and supporters of our site. The top four seniors Edwin Childress of Union Grove, AL, Ron "Coach" Held (attaboy!) of Metairie, LA, Larry Little (well done again, Larry) of Milton, FL and Nancy White of Greenwood, IN chopped up the bulk of the loot four ways. Childress as chipleader got the biggest share and first place. James Kizer, Huey Hulin, Steve Bierman, John Riola, Nelson Solar, Paul Hebert also cashed. The Beau Rivage's Million Dollar Heater will pay out 113k to first place. All day two players are guaranteed 4k for their $2700 buy in as part of the $437,500 prize pool. As usual the guarantee was smashed. Should be an absolute battle today as tons of accomplished players litter the chip counts. Atop with a massive stack, Mike Horchoff who late on day 1A got it in for a massive pot with JJ v. AK. An ace flopped but Mike was saved by a river Jack to finish the night over 400k. Tim "TK" Miles bagged the most on Day 1B, second overall, with 265k. Tim Burt came in just behind him with 251k. Nghia Le of Jacksonville put 215k in a bag good for fourth overall. Paul Hebert of Pierre Part, LA finished with 214k and Randy Gordon of Metairie ended with 183k. Just behind him in the top ten Hiep Doan, David Nicholson, Steve Bierman, and Derrick Cutler. Thu Tran, Ed Sebesta, Michael Monaghan, Fred Sigur, Freddie Ardoin, Caufman Talley, Nesrin Can and Barth Melius rounded out the top 20. Thirty three entrants jumped into the Beau's PLO tournament, some of them at the very last moment when they were already a few spots from the money. Michael Monaghan of Jackson, MS squeaked into a payday finishing 5th doing just that. However, Trevor Buboltz of Tinley Park, IL won the most after besting LeDarren Banks of Tuscaloosa, AL heads up winning almost 13k. Banks banked 7k for second. Nghia Le won 4.3k for third and Ashly Butler 2.8k for fourth. James Joiner of Lucedale, MS prevailed over James Seindenfaden of Sarasota in heads up action. Joiner earned 14k and Seidenfaden 7.8. There were 366 entrants with a prize pool over 54k. Also in the money Cihan Celik of Baton Rouge; Richard Radford of Ocean Springs, MS; Carl Guillot, Todd Cowan (pictured) and John Durio of Metairie; Jerry Giroir of Lafayette, and Corey Harrison and Eric Wilkinson of New Orleans. The last bounty in any bounty tournament is the best to win, because it'll bring a first place prize with the Bounty ($50 reward). 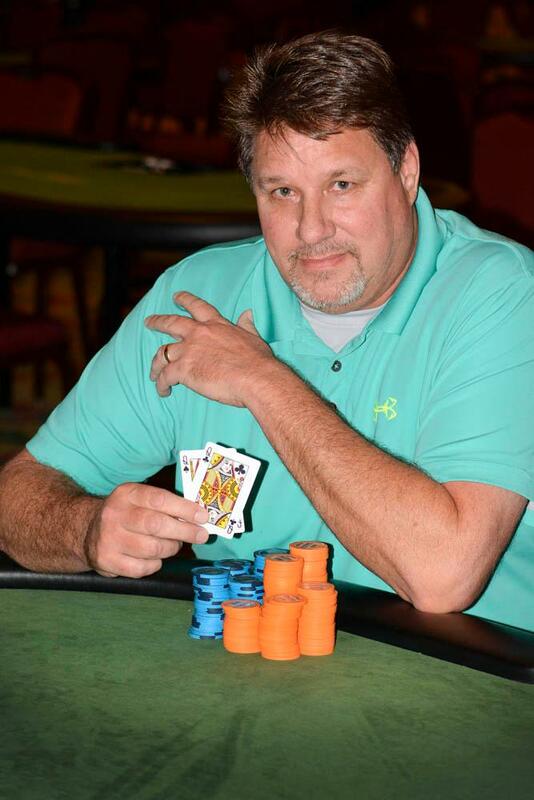 Jeremy Eyer of Gulfport got bragging rights after a long heads up clash with Will "Poker Monkey" Souther of Biloxi. Also at the final table Tom Franklin, Richard Sinclair, Dustin Stewart, Michael Monaghan, Houston Baker and Umut Moraler. Adam Cotant of Tuscaloosa, AL got credit for the win after a late chop. Steve "Fear The" Bierman got creditfor second place. Kip Jones of Baton Rouge third. 4th through 9th were Kevin Hass of Kiln, Pat McNamara (NOLA), John Cressend (Metairie), Joe Delatte (St. Amant), Joe Corey (Pennsylvania) and J. Carter of Jackson. A novel tournament that proved to be a lot of fun for those that played. Lots of guesses on what the format was until play started. If you won a pot you also won the Rock and were forced to put in a straddle (a bet double the big blind) but got to act last preflop. After the flop action continued as normal. With a little tweaking this promises to be on future schedules. Trussvile, AL native Loc Nguyen prevailed in the Monster stack tournament after some crazy late suckouts v. Metairie's own Joe "The Pro" Hebert. Hebert held the chip lead five handed but could not get his hands to hold versus Nguyen who ran pure enough to win the tournament and 30k. Guiseppi Betta of Pennsylvania won 16k for second. Ben Thomas of Baton Roge won just under 9k for third. Hebert finished fourth after his bad run outs settling for just over 7k. Joe Aultman of Sumrall, MS won 6.5k. Also at the final table Bruce Soleau of Chalmette, Ray Parker of Nashville, and Peter Feriozzi of Milton, FL. 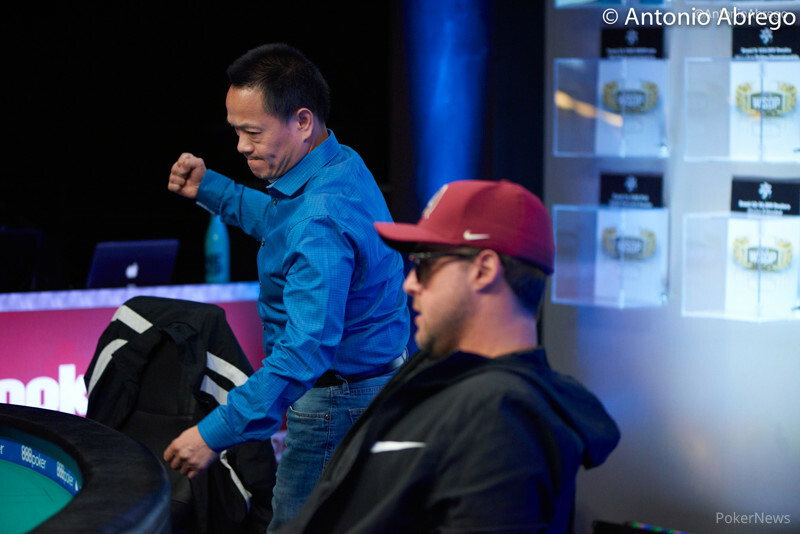 Jason Dursun, Steve Bierman, Luther Tran, Eric Dogo, Prissy Grioir, Joshua Fanguy and David Ngueyn all made the final two tables. Also cashing Richard Sinclair, Wild Bill Phillips, Derek LeJeune, and Joel Watts.